Southern Pioneer Electric Co. awards energy credits to winners of the SCoC Christmas Lighting Contest! 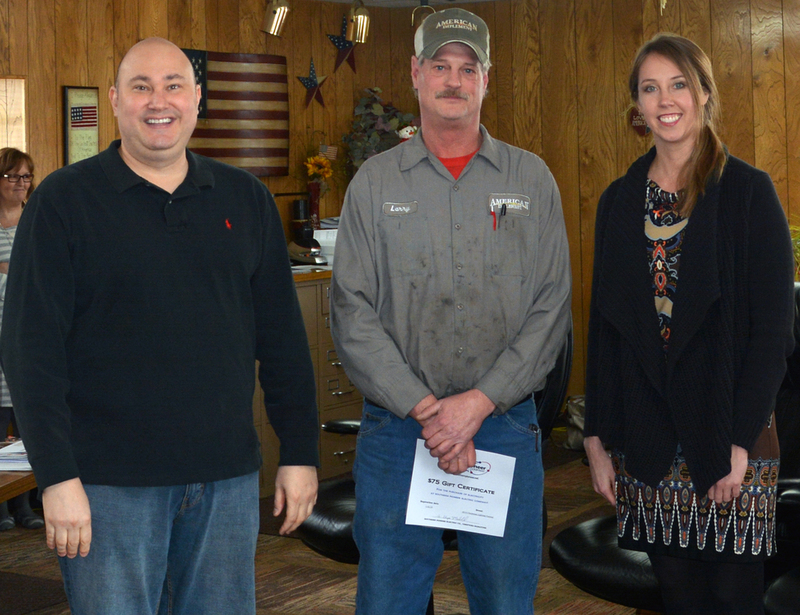 Elyse Molstad, Energy Services Coordinator for Southern Pioneer Electric Co. was in Sublette on Tuesday, January 6th to present energy credits to the winners of the Sublette Chamber of Commerce lighting contest. Members of the community were also present to congratulate all of the winners. The first place winners were Mick and Shelly Meairs and family; second place went to Larry Diehl and family; and the third place winners were Brock and Stephanie Stapleton and family. The Sublette Chamber would like to thank everyone who participated in the contest, as well as all those who helped to beautify the community throughout the Christmas season. There were many beautiful displays from which to choose!